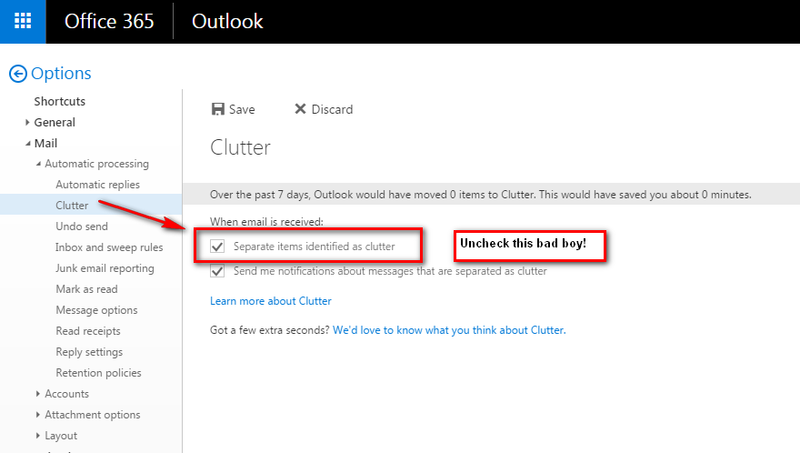 Turn off clutter in Outlook Web Access in Office 365. Thanks to Micael AC for the real solution! Your clutter settings are probably missing, so you must first change the Display settings.